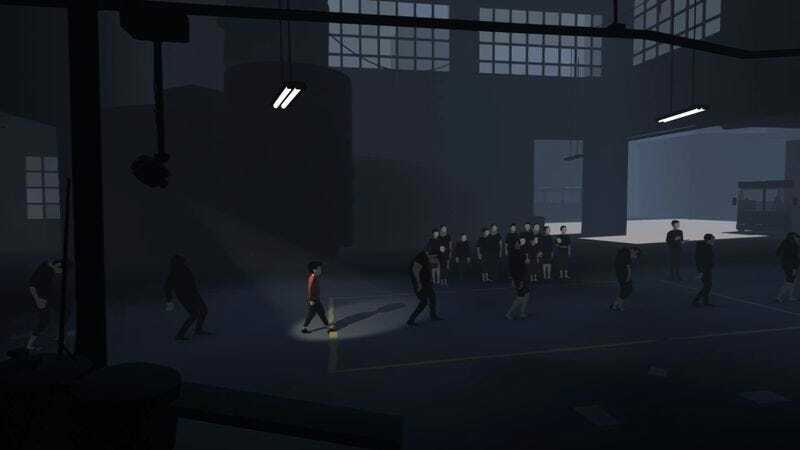 Playdead offered a brief respite from graphic violence during the 14th Annual Salute To Guns at Microsoft’s E3 press conference today, giving players the first look at Inside, a game that is slated to debut on the Xbox One early next year. After making its mark in 2010 with the moody, monochromatic puzzle platformer Limbo, Playdead appears to be reaffirming its commitment to dreariness with Inside. Like Limbo, the brief trailer for Inside features a boy making his way through hostile, mostly empty terrain on a quest for… we don’t know what, exactly. But judging by the people pressing their face up against the glass at the end of the clip (especially those two guys who zip in with the golf cart), it’ll be worth the trip.